Brisbane Uketet is a seven-member ukulele instrumental ensemble. 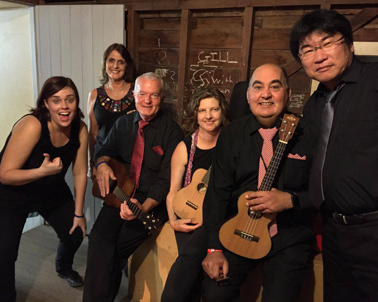 Terry Sasaki, Garry Collins, Helen Goldworthy, Angel McIntosh, Leeanne Horne, Len Farina and Rebecca Hull formed the group around five years ago to focus on instrumental techniques. They play classical, traditional and pop tunes. Each player adds a different part to create a unique musical score.